Whether you’re a spectator or a player, soccer is an enjoyable, competitive sport that can be enjoyed by people of all ages. The rules of the game are easy to understand. Plus, it’s a sport that combines skill and agility with teamwork and creativity. 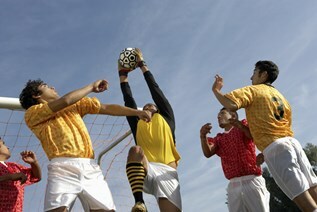 It’s universal – Unlike American football that is confined to one region, soccer is played by people all over the world. Soccer is a sport that crosses all language and cultural barriers. The game is shared by fans and players worldwide. According to the FIFA Big Count survey, 265 million players are actively involved in soccer around the world. It’s easy to learn – The rules of the game are simple and easy to learn, so people of all ages and skill levels can play. The goal of the game is simple – get the ball in the net without using your hands. It requires little equipment – Sports like hockey and American football require a lot of equipment. However, for soccer all you really need is a ball to play. If you are playing professionally or for a league, then you’ll just need to add cleats, shinguards and your uniform. No physical requirements – To play football or basketball, you need to be a certain size and have great physical strength. For soccer, size doesn’t matter. Being a good soccer player requires skill, not strength or stature. Therefore, men and women of all sizes and ages can play. Compete Internationally – Because soccer is played by people all over the world, players have the chance to compete internationally. There are many international competitions, such as the Olympics or the FIFA World Cup that allow players to travel and compete against players in other countries.